Shikhar Prajapati is one of top motivational Speakers, Motivational Trainers, Corporate Trainers and Life Coaches in India, with an experience of over 13 years. Smart, Suave and Charismatic, Shikhar Prajapati is capable with penetrative mind, amazing spontaneity and clarity of thoughts. His sessions are designed to infuse tremendous dynamism and vigour into the participants, to help them grow personally and professionally. His specialization is in Life Skills viz. Human Relations, Behaviour, Self Confidence, Positive Thinking, Time Management, Stress Management, Leadership, Team Building, Goal Setting, Customer Service, Law of Attraction, etc. The Contents are designed as per your needs, interests, expectations and concerns. The results are noticeable immediately. The delivery style is Interactive, Entertaining and Powerful. He is extremely popular amongst his audience. His seminars and workshops are well- known for their high quality content backed by his unique and entertaining style of delivery. 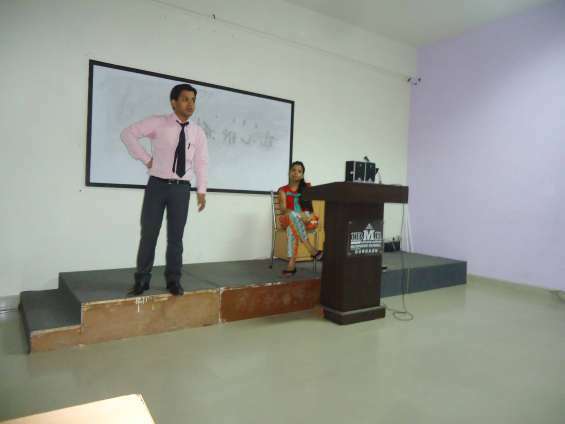 for He is favorite motivational speaker in schools, colleges, corporate, NGO’s and number of educational institutes. Consistently ranked among top Indian motivational speakers, his seminars and workshops are well- known for their high quality content backed by his unique and entertaining style of delivery. His energizing sessions are insightful and stimulate participants to unleash their innate energies, fulfill their potential and create an intense desire for success and personal excellence. Invite Shikhar Prajapati to for the customized Sessions at your campus. He is combination of youth and experience with global exposure and multidimensional education. Equally fluent in Hindi and English, he has got the rare quality of rocking the stage with hallmark interactive keynote speeches and high quality audiovisuals.